Do you have a mobility issue? It doesn’t matter what caused it, adjusting to life in the chair can be difficult. Many people get depressed at the thought that life as they know it is over. Nothing could be further from the truth! If you’re struggling to adjust to your new “life on wheels,” or know someone who is, we think you’ll find this piece helpful and informative. 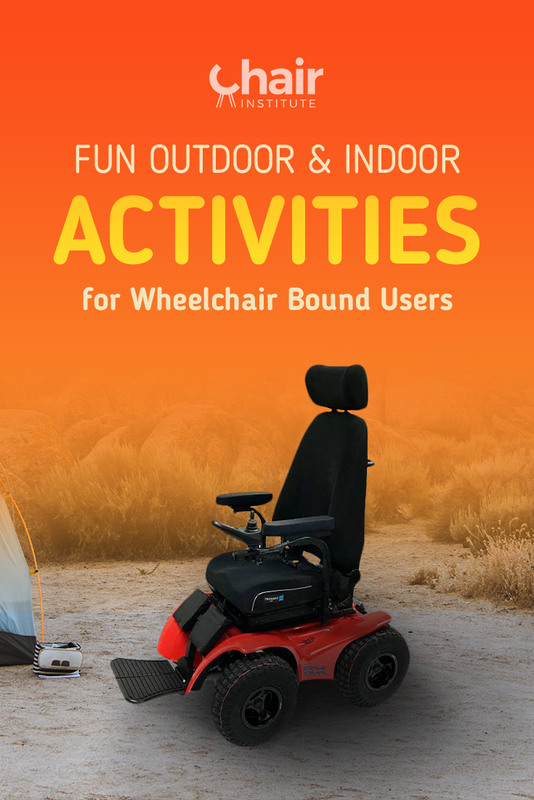 Below, you’ll discover many fun, exciting outdoor activities for wheelchair users that will help you get back out there and start enjoying life to the fullest again. Fair warning though: Some of these activities for wheelchair users aren’t for the faint of heart! Don’t worry if you find yourself balking at a few of these. At the very least, our list will get your mind turning on the subject and open up a world of possibilities you may not have considered. Ready to take a closer look? Let’s get started! There are tons of fun activities for people in wheelchairs, thanks in large part to the Americans With Disabilities Act of 1990, which not only protected people with disabilities from being discriminated against where employment opportunities were concerned but also ensured access to public spaces. Let’s start with the obvious. 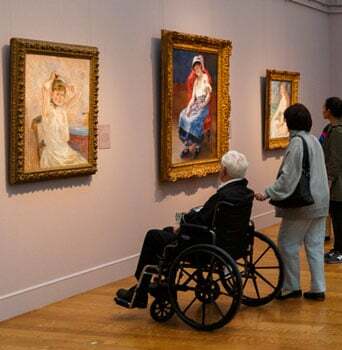 Thanks to the law we mentioned above, museums and art galleries are all wheelchair friendly, and you’ll have no trouble getting in, moving around, and seeing all the wonders these places hold. Go alone or go with friends and family. It’s the perfect rainy-day activity. Just about any sports people play without wheelchairs can (and probably already has been adapted to) play in a wheelchair. It’s just a matter of finding a team! 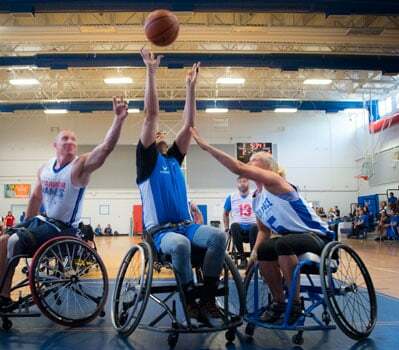 Bear in mind that it can be a real challenge to find a wheelchair sports team in a smaller town so you may have to do some driving if you’re serious about playing. 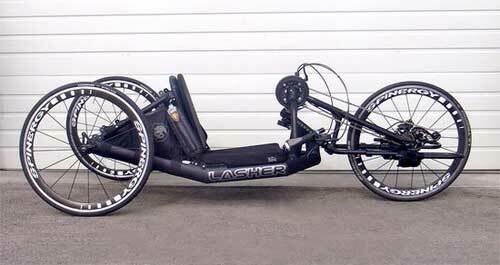 Note that as with any sport, you’ll need to buy some equipment to play and many sports will require that you buy a specialized wheelchair. The particulars, of course, depend on exactly what sport you’re interested in playing. Obviously, not all of these sports are indoor activities, but enough of them are that we decided to list it in this section. 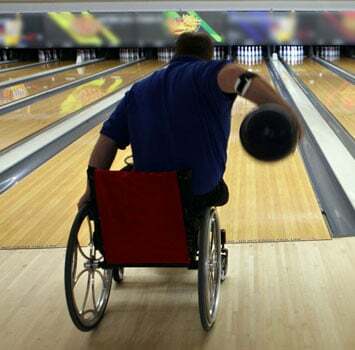 There are lots of fun leisure activities for wheelchair users, and although bowling might not be an obvious choice, it’s a lot more enjoyable than first meets the eye. While it technically qualifies as a sport, the fact that you can enjoy it solo is the main reason we didn’t include it on the list above. If you want to join a league and take your game to the next level, get in touch with the American Wheelchair Bowling Association. They host nearly a dozen tournaments every year all over the country, giving you not only an opportunity to showcase your skills, but also to travel. That’s a win-win! Give it a try and see for yourself. Once you master the game, you’ll be the star of every pool hall you visit! Many people, especially those who have only recently experienced a mobility issue don’t realize just how many outdoor activities for wheelchair users there are. The list below is hardly comprehensive but was meant primarily as a starting point to get your mind turning on the subject. 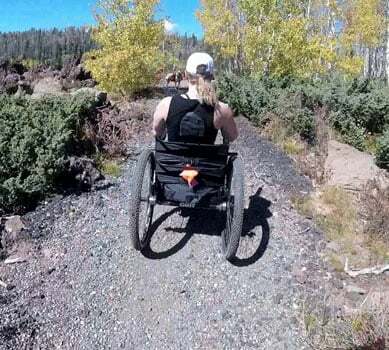 Hiking in a wheelchair might seem like a bit of an oxymoron, but there are plenty of wheelchair accessible hiking trails scattered all across the country. You may have thought your days of enjoying the great outdoors were over. Think again! Most state and national parks have websites that will tell you which trails are wheelchair-friendly, so planning a family outing is a snap. This is one of the most enjoyable, family-oriented wheelchair mobility activities. Most cities and towns have farms in outlying areas, and a bit of research is likely to turn up several within driving distance of wherever you are. Many (but not all) of these allow individuals to pick their own fruit or produce by the basketful. It’s a fun way to enjoy the great outdoors in a safe environment and get something of practical value at the same time. Even better, once you’ve picked your fill, you and the family can go home and turn the ingredients you just picked into something delicious. What’s not to like about that? One of the most interesting and unusual activities for wheelchair-bound adults, mazes are an option that a lot of people don’t even consider. 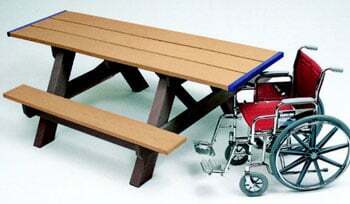 They offer a chance to get outside and enjoy the sun on your face while giving you a safe, structured, controlled environment that’s easy to navigate in a wheelchair. Plus, solving mazes is fun mental exercise, as is chatting it up with any fellow maze-goers you encounter. It’s one of those fun wheelchair activities that’s every bit as enjoyable on your own as it is with friends and family, so anytime you have a free afternoon, head to the maze nearest you and prepare to have fun! 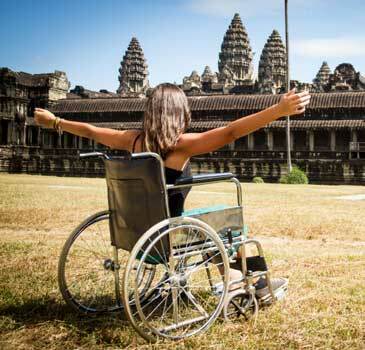 One of the most intriguing wheelchair outdoor activities on our list. This one might give you a pause. Skydiving? Really? Actually, yes! Bear in mind though that not every company that offers skydiving can accommodate people with mobility issues, so you may have to do some searching and calling around to find the “right” outfit. But it’s totally possible with a bit of persistence. 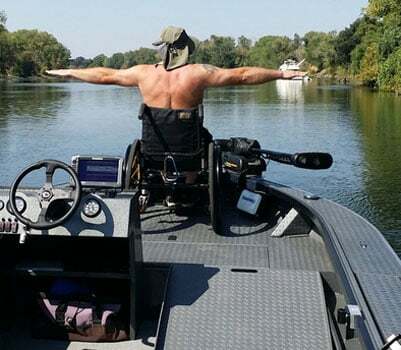 Even better, you’re bound to make friends with other people who have mobility issues, and the pictures you’ll be able to share with them of your adventure are sure to awe and inspire them. 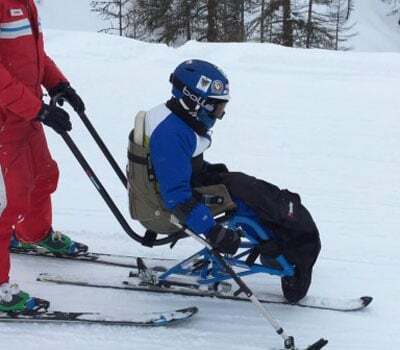 Although snow and cold weather can pose some real mobility challenges, even for those not in wheelchairs, it might surprise you to know that if you can get to the ski slopes, you can ski them, thanks to adaptive skiing technologies. These modifications to conventional skis see you sitting atop two skis, enabling you to take in some world-class scenic vistas and even tackle the beginner (and perhaps even some of the intermediate) slopes. If you can use one of your legs, you can take things to the next level and try your hand at mono-skiing. But be aware that you’ll need to train for it – it requires a tremendous amount of upper body strength! As with ziplining, not every company that runs a zip line can accommodate people with mobility issues, so you’ll likely have to do a bit of research to find a zipline outfit that can adequately accommodate people with limited mobility (some can’t or won’t for insurance reasons). It’s well worth the time spent researching though and will give you an experience and memories that won’t soon be forgotten! While there are lots of wheelchair activities for adults that aren’t applicable to kids, this one is great for people of all ages. Most charter companies have experience accommodating people with mobility issues and will be more than happy to give you, your friends, and your family an afternoon in the sun and on the water that you won’t soon forget. If you’ve never been boating before, be sure to pick up some Dramamine, just in case. Once you’re on the water is a terrible time to discover you’re prone to motion sickness! While there are tons of fun activities for disabled adults in wheelchairs, you may have thought that paddle boarding was off the table. It’s not! If you’re not familiar with them, paddle boards are bigger than surfboards, and they’re wide enough that they can be modified to accommodate a wheelchair mounted right on the board. It’s a fun, relaxing way to spend some time on the water with friends and family. Okay, this first one isn’t all that “physical,” but it’s too much fun not to mention. Slot car racing is a fun, social experience that kids of all ages will enjoy. It’s an exciting, competitive event that helps to develop or maintain fine motor skills, which makes it one-part practical and one-part exciting. Even if your child doesn’t win the day, it’s still a contagious rush that both you and they will love. 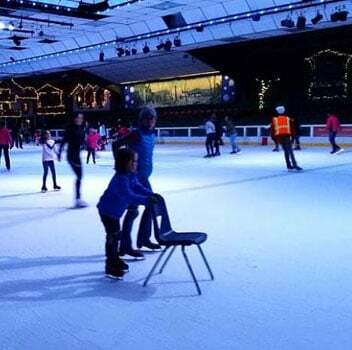 Be warned – not every ice skating rink will allow wheelchairs on the ice, so call ahead to be sure. The ones that do, however, are pure gold in terms of entertainment value for your child. If you don’t yet know how to ice skate, you’d better start practicing, because the first time you take your kid to the rink, it’s almost certain to become their new favorite thing. As with ice skating rinks, not every mini-golf course is wheelchair friendly. Wheelchair accessible, yes, but often, the holes are packed so closely together that it can be hard to navigate in a wheelchair. Still, doing some homework in advance will reveal the best options, some of which are even all-indoor courses, meaning you and your kids can enjoy them even on rainy days. Either way (indoor or out), it’s a fabulous way to spend a couple of hours, and your kids are sure to want to do it again! 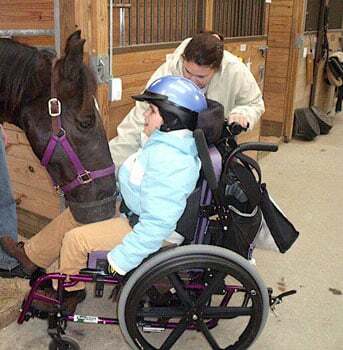 Of all the activities for kids in wheelchairs, this one stands apart because the bond that can develop between a child and a gentle-natured horse can be incredibly therapeutic, bordering on the magical. Not all equestrian outfits are created equal and some have more experience working with people who have mobility issues than others, so you’ll need to do a bit of research to find the “right” company to work with. Once you do though, prepare to watch the magic happen. Most companies offer guided tours and have saddles that have been modified to make it easier for people with mobility issues to ride in safety. Pair that with an experienced guide and the “right” horse, and your child will be over the moon, and you will be too. Most major cities have a facility like this. It’s awesome because it puts a wide range of activities for children in wheelchairs under one roof. Even if you don’t live in a major city, a bit of research might uncover one within reasonable driving distance. It’s well worth looking into and will likely become your child’s new favorite place. Don’t go thinking that these activity centers are all about children though. You’ll find plenty of activities for wheelchair-bound students, adults, and elderly people, too. They’ve got a little something for everyone. Note that most indoor activity centers have at least some outdoor space as well, offering a variety of outdoor games for wheelchair users and non-wheelchair users alike. These places have tons of “replayability” so expect to be asked if you can go back again and again. 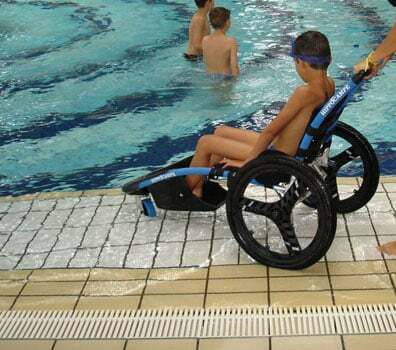 While there are tons of fun activities for wheelchair users, swimming stands apart, because most people who have mobility issues on land have vastly more mobility in the water. Not only is that incredibly liberating, but it’s also great exercise and a fantastic way to socialize. It’s just a win on every front imaginable. What kid doesn’t like riding a bike? Unfortunately, you might be thinking that bicycling is just one of those activities for a child in a wheelchair that’s simply out of reach. You would be mistaken! There’s a unique mobility product called “The Duet” that totally changes the game, and is guaranteed to put a huge smile on your child’s face. With a little help from you, your child can enjoy the feeling of wind rushing through his (or her) hair as he/she races down the street. You’ll be a hero, and your child will enjoy a whole new level of freedom. The sky’s the limit here. This can be as simple as a small family gathering out in the sun and enjoying a cookout to a huge extravaganza that includes some active games for seniors in wheelchairs, or anything in between. The park is essentially your entertainment canvas. What you choose to paint on it is entirely up to you! This can take many different forms. 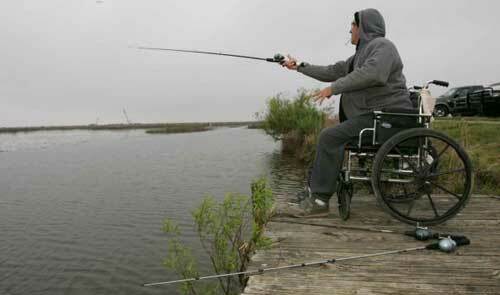 Most boat ramps and piers are wheelchair accessible, and if you’ve got a motorized wheelchair that’s up to the task of handling some uneven terrain, you can venture out to your favorite fishing hole and relive some of the memories of your youth. If you like, you can step things up a notch and charter a fishing boat. Most charter companies have experience in accommodating people with mobility issues, so you know you’ll be in good hands. We listed this one under wheelchair activities for the elderly, but in truth, anyone, of any age can enjoy this. 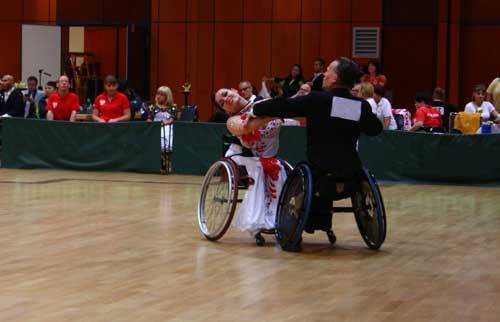 Note that not all dance instructors are adept at teaching dance to people in wheelchairs, so what you get out of the experience is going to be at least partly a function of the time and effort you put into the research beforehand. Still, when you find the right dance class and instructor, you’re going to have a fabulous time, and it’ll be a great learning experience. Of all the wheelchair activities for seniors, this one’s probably the most open-ended. Many seniors love nothing better than hopping in an RV and seeing the country in their golden years. If that’s a dream of yours, don’t let the fact that you’re in a wheelchair stop you or even slow you down. With a few simple modifications, your RV can be tweaked to accommodate your wheelchair, allowing you to go anywhere and do just about anything. Even if you don’t like the idea of traveling in an RV, there are plenty of other wheelchair-friendly travel options, so don’t think for a moment that you’re going to be limited. You won’t be! Almost all wineries are wheelchair accessible, and they all offer more than just wine tastings in the café. You’ll be able to tour the grounds, and many wineries even offer overnight accommodations if you want to spend time exploring the place at a more leisurely pace. What’s not to like about that? As you can see, there are tons of great indoor and outdoor activities for wheelchair users, and our list barely scratches the surface. Although we have broken the collection of activities above into various age-related classifications, there’s obviously a considerable amount of overlap here, and most of the items on this list are suitable activities for wheelchair users of any age. Don’t worry if some of the stuff we’ve talked about here isn’t your cup of tea. There are plenty of great wheelchair bound activities to choose from, so don’t think for a moment that just because you’re not as mobile as you used to be, life as you know it has ended. It hasn’t! These ideas are proof of that.